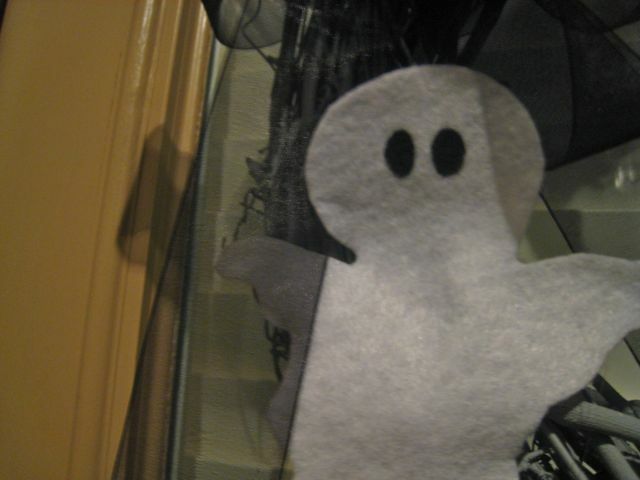 Is your front door ready to receive a bunch of trick-or-treaters on October 31st? 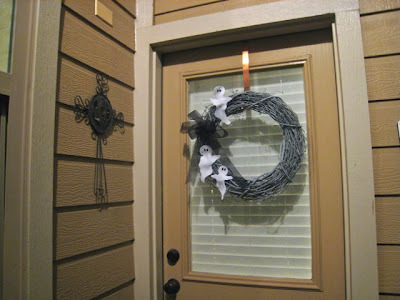 If you’re looking to add a little holiday festivity to your front entry, this quick-and-easy wreath is a great option! 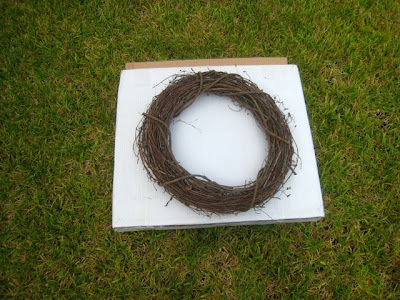 I’ve been decorating with grapevine wreaths for years, but when I saw this post about spray-painting a grapevine wreath, I was inspired to try something new! 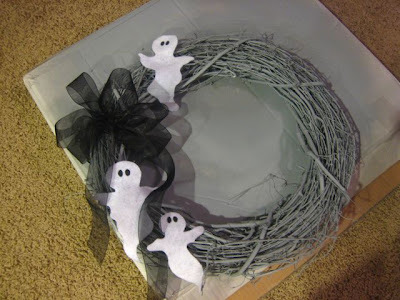 I intended on priming my wreath and then painting it an orange-ish-red, but once I had the gray primer on, it just looked so spooky and fun that I stopped there! I saw some cute ghost garland made of felt on this website, which inspired me to add a little felt ghost family of my own to my spooky gray wreath! 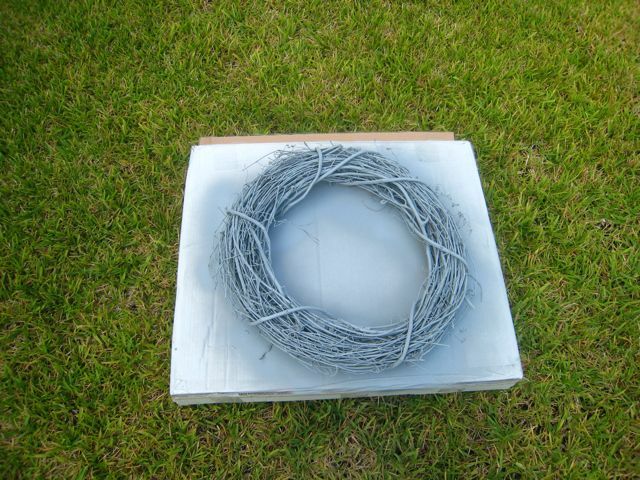 First, spray paint your wreath with the gray primer until it’s totally painted. You’ll need to do one side, let it dry, then flip it over and do the other side. 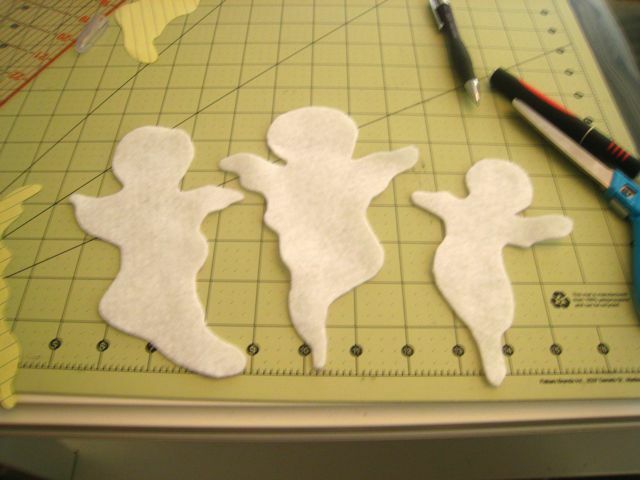 Next, trace three ghosts onto the felt and cut them out. 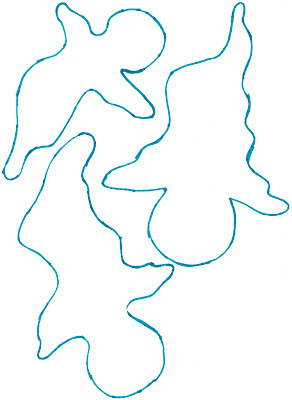 You can draw your own templates, or feel free to use mine! 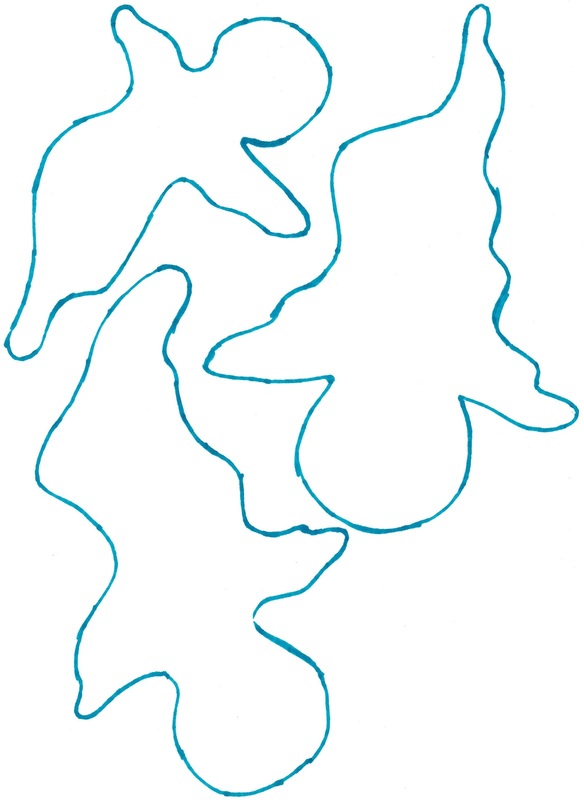 Make sure you draw your tracing line just outside the template, then cut just inside the line. That way you’ll avoid ending up with pen marks on your ghosts! 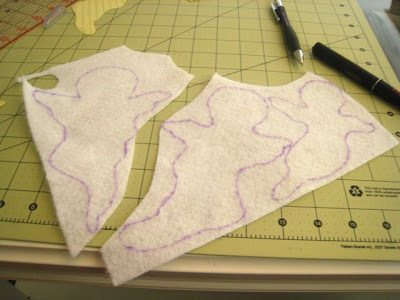 Use black paint or a Sharpie to add eyes to the ghosts. Once the wreath is totally dry, tie the ribbon on one side. 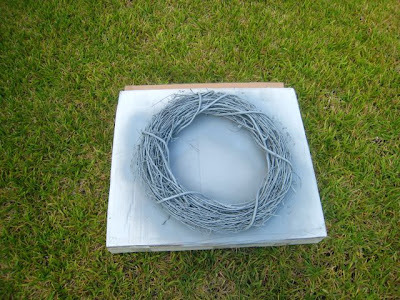 It’s easiest to do this with the wreath laying down on a flat surface. 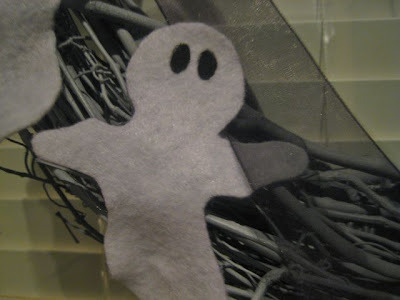 I tied mine in a kind of droopy manner to add to the spookiness factor. 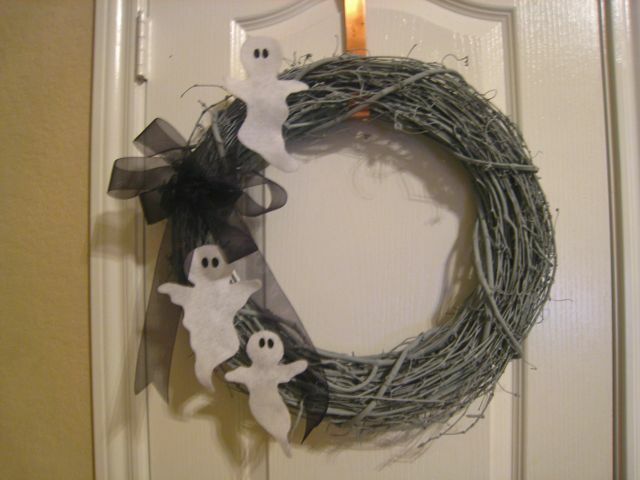 I laid the ghosts out on my wreath while I did this, just to make sure I had the ribbon in a good spot! 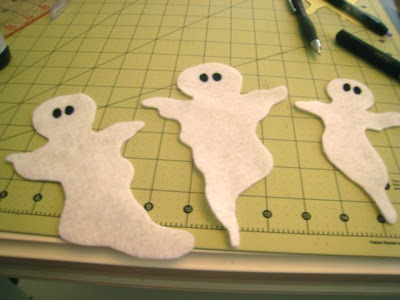 Next, attach the three ghosts to the wreath with hot glue. Felt is really great because it will actually kind of stick to the wreath even without glue, so you can place the ghosts on the wreath and position them just how you want before you glue them down! I placed the ribbon so it falls behind the bottom ghosts’ heads but over their arms. 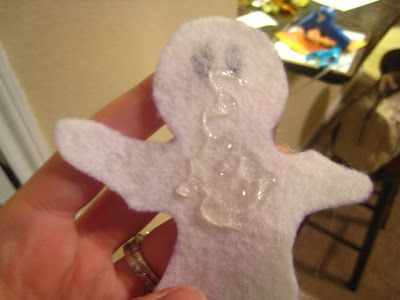 A little drop of hot glue connecting the ribbon to the back of the ghosts’ heads will keep the ribbon from covering up those cute little ghosties! 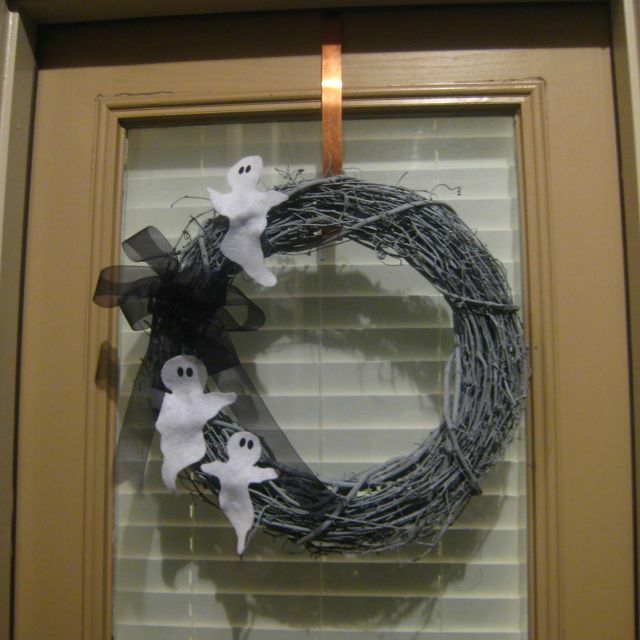 Once your ghosts are securely on the wreath, go hang your little ghost family on a door and welcome the trick-or-treaters! Mine is hanging on our back door for now (my favorite DIY fall wreath is hogging the front door currently), but I’ll definitely move it to the front for the 31st! 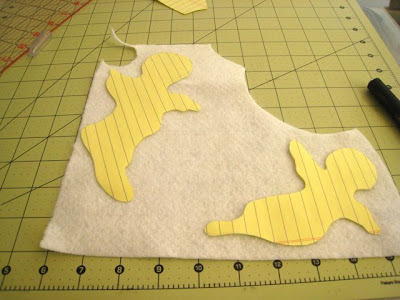 that's just stinkin' adorable. i love it!